« Celebrate Christmas with OSAR! To get you into the Christmas spirit, come to hear a medley of festive songs in French, English, Catalan, Spanish and Swedish in a variety of styles from Baroque to gospel. 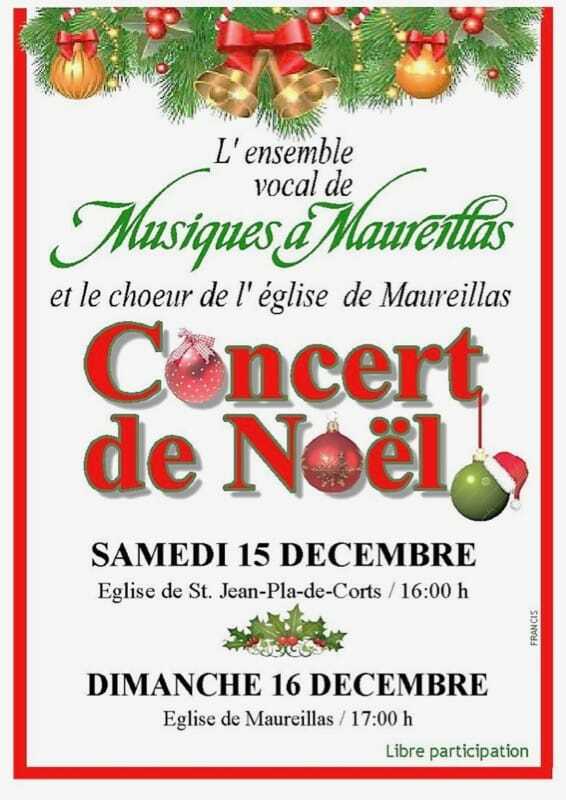 The hugely popular Maureillas Christmas choir will be giving two concerts this year : in the church in St Jean Pla de Corts on Saturday 15 December at 4pm and in the church in Maureillas on Sunday 16 December at 5pm. Entrance is free. Everyone is very welcome !